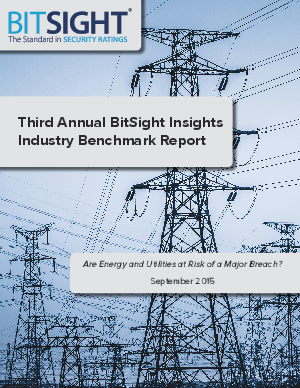 > Research Library > BitSight Technologies > Are Energy and Utilities at Risk of a Major Breach? Cyber security has continued to grab the headlines over the past year, as major breaches have affected companies across all industry sectors. The question on every mind is which industry faces the greatest risk? To answer this question and get a true understanding of how different industries are performing, BitSight analyzed thousands of organizations in the following industries: Finance, Federal Government, Retail, Energy/Utilities, Healthcare and Education. How does your industry perform? Download the latest BitSight Insight report to find out.